Williams head of performance engineering Rob Smedley says rows four and five on the grid at the German Grand Prix is an accurate representation of his team’s place in the Formula One pecking order. Valtteri Bottas qualified eighth and Felipe Massa tenth on Saturday afternoon, the pair headed and split by Force India drivers Nico Hülkenberg and Sergio Perez — though Hülkenberg will receive a one-place grid penalty for qualifying on tyres his team was supposed to hand back to Pirelli. The four cars were separated by one tenth of a second and were two-tents off the slowest Ferrari, driven by Sebastian Vettel, confirming the battle for fourth in the constructors championship is on between the two privateers. “A little bit too close, obviously!” Smedley said in review of the result. “They’re a bit competitive. They’ve improved their car, as we’ve seen, since the Spanish Grand Prix. “I think you can see with Ferrari today as well that the margin wasn’t that big, really, so we’re able to get reasonably close to Ferrari as well. That is the current state of affairs. 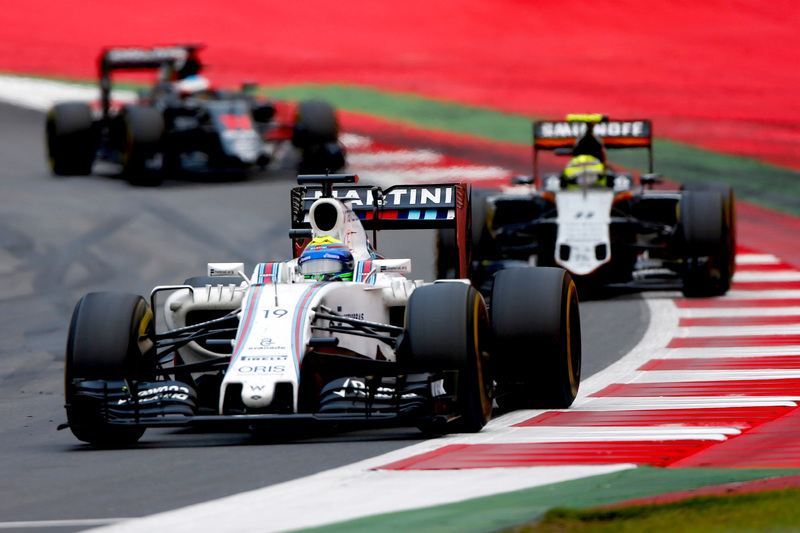 Williams sits fourth in the constructors championship standings after finishing third in the last two seasons. The Grove-based team is 129 points behind third-placed Red Bull Racing, and after Force India’s slow start to the season — it scored only eight points in the opening four rounds compared to Williams’s 51 — its place in the top four at a minimum seemed secure, so much so it made an early switch of focus to its 2017 car. But Force India applied a major upgrade to its car at round five in Spain, which had propelled it to outscore its rival by 31 points to lie just 20 behind on the title table. Williams, on the other hand, has floundered with upgrades, bringing numerous examples of front wings for testing to the European rounds of the season but rarely racing with them, leading to its current dramatic stagnation. After Friday practice at the Hockenheimring produced poor results, it seemed as though Williams’s decline would continue, but a new floor and front wing, couple with some set-up changes, at last appear to have hit the spot, giving the team confidence. “We’ve been testing those bits extensively through the weekend, and we’re quite happy we’ve found a good direction with them,” Smedley said. The upgrades applied in Germany aren’t the last due on the FW38, and production for the pre-determined development path will continue despite research being focussed on next year’s car. “There are still some small upgrades coming, both in terms of aerodynamics and mechanical, predominantly suspension. Practice at the German Grand Prix also suggested Williams may have a marginal edge over Force India in race trim, and with both cars in each team left with near identical tyre allocations — two new softs and three used supersofts, with Hülkenberg also holding a new set of medium-compound tyres — extracting the maximum from each set will be key. “We were reasonably happy with the long-run pace,” said Smedley. “What was probably lacking on the soft tyre was longevity, and to make our strategy work, we’d probably need reasonably good tyre longevity on the soft tyre, or a little bit better than at least what we had yesterday. “I think anyway what we saw today by putting the tyres in the right window was that the pace was overall better than what it was yesterday.